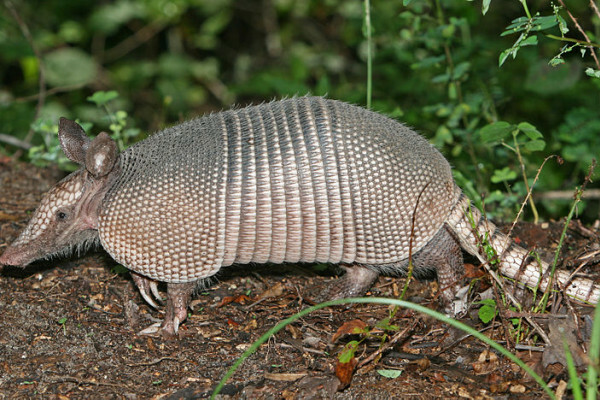 And finally it's time for our gene of the month, and this time it's Armadillo. First discovered in fruit flies, Drosophila melanogaster, in the 1980s, armadillo was originally thought to be a segment polarity gene in the insects, required to make sure that the different bits of a developing fly know their front end from their back. Fruit fly embryos with a faulty version of armadillo are stubby, hunched little things, with their normally free-moving segments fused together a bit like the plates of an armadillo - the 'crunchy on the outside' creature that gives the gene its name. So what does it do? Armadillo, or beta-catenin as it's known in other organisms, including mammals like us humans, is a molecular multi-tasker. It helps to create the junctions in sheet of cells, known as epithelia - such as the skin or lining of the gut. And it also helps to control the activity of genes, responding to signals sent by a molecule made by another important gene, called wingless. As you might guess, life isn't great for a fly without proper wingless activity, as they don't make wings properly, if at all. And in humans and other animals, rogue armadillo and wingless activity (or beta-catenin and Wnt, as they're formally known) has been linked to bowel cancer and other types of tumour, making cells grow out of control. Previous How old is the earth's magnetic field?